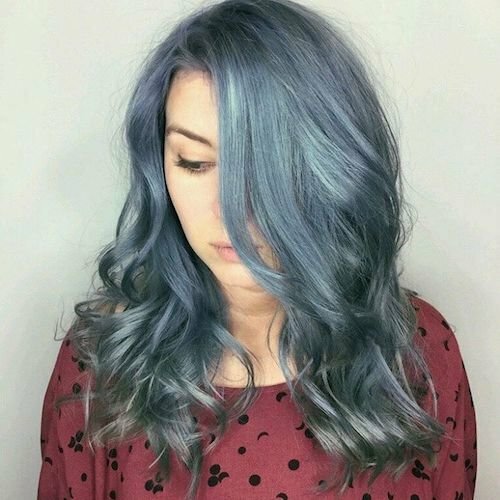 Let your hair slip into a blue denim hair color like cozy blue jeans. Take comfort in the muted, stone-washed look without the flash but with all the flair. 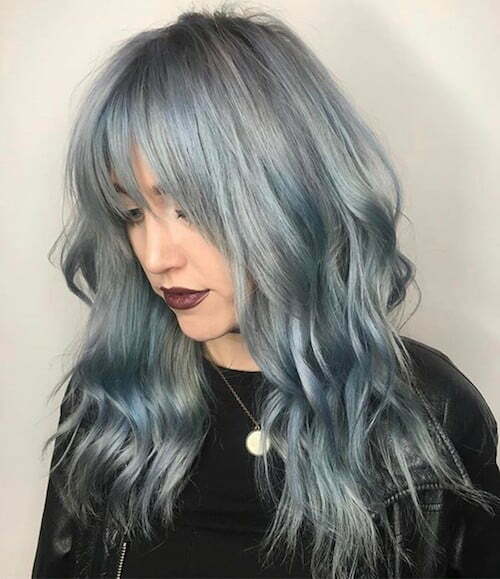 When you’re looking for a change from bright neon hair colors, set down your mermaid dyes and fade into denim. 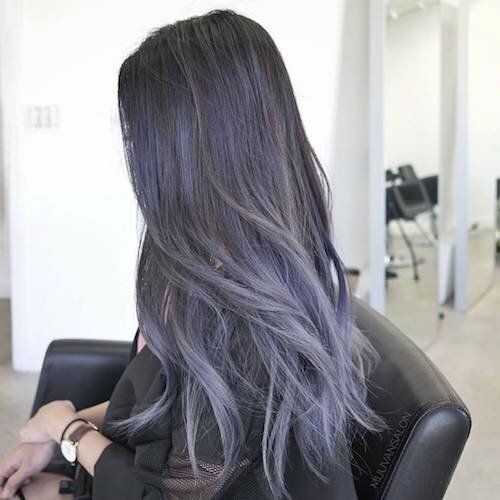 Denim hair color looks faded or washed out with blue, blue-green, silver, or purple hues, like your favorite jeans. It’s a great, laid-back way to show off your trendy style without the screaming neon and rainbows. 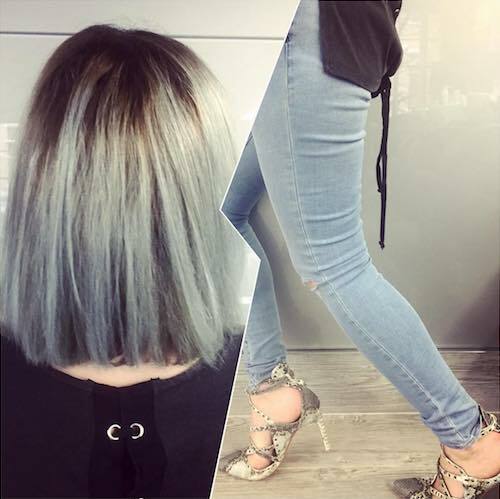 Keep scrolling and you might find yourself ready to join the #denimhair hashtag photo stream. 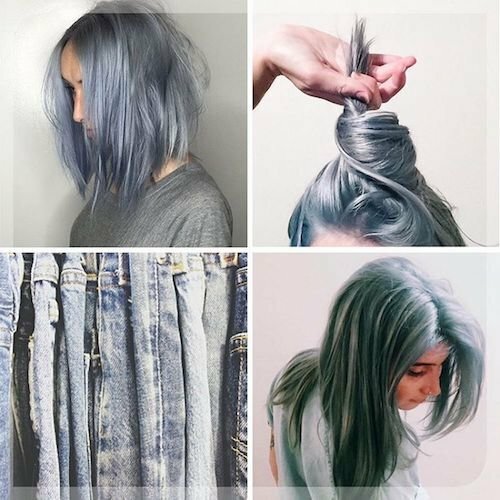 Denim hair color brings the color and casualness of your favorite jeans to your hairstyle. 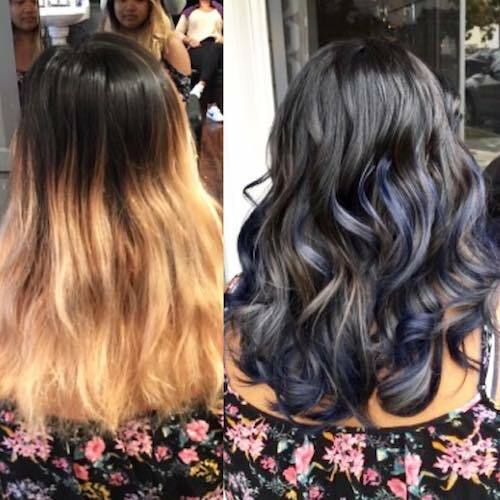 Take inspiration from your favorite jeans, and color your hair to match. 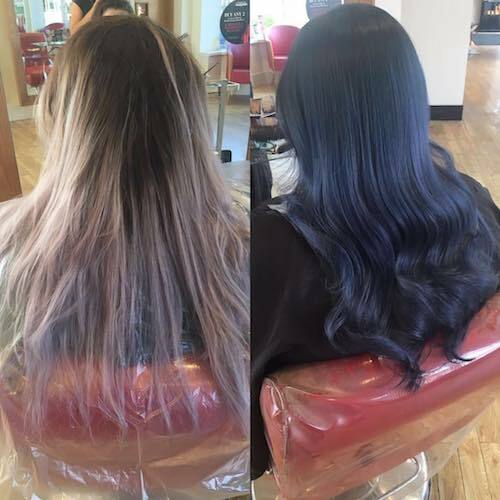 Do you want to see a hair transformation from ordinary to extraordinary? Keep reading. 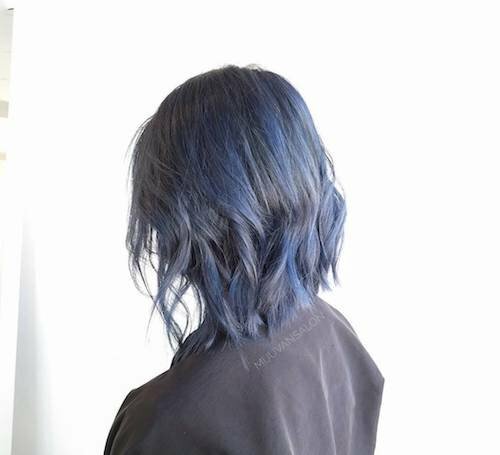 As you have seen, denim hair color dramatically cools and tones down bleached hair. 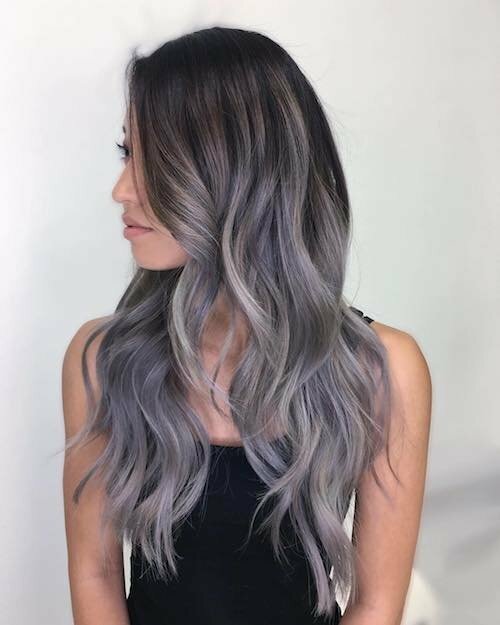 It creates a completely new and amazing look. 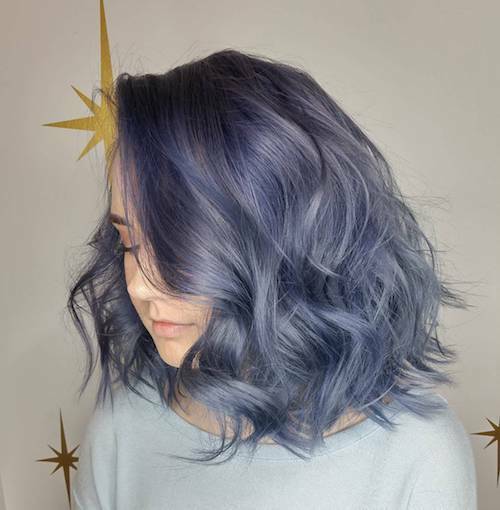 Typical of the denim hair color trend is a muted gray and indigo blue tint. 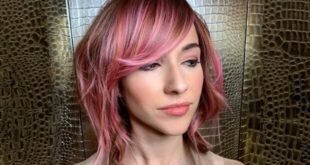 It’s the hair color that started the trend. 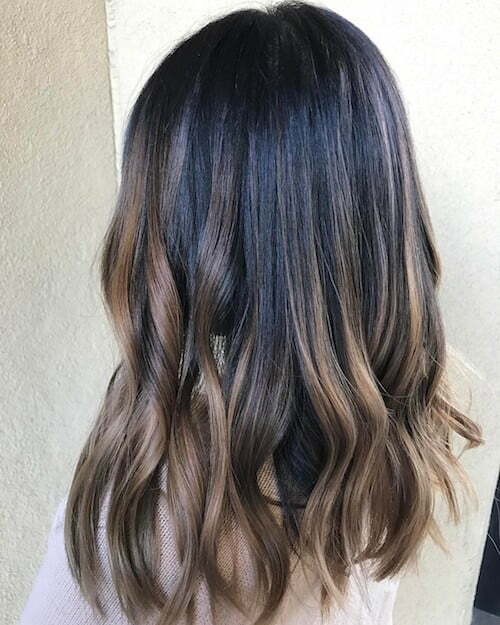 Above is a flawless ombre balayage melt denim hair color. 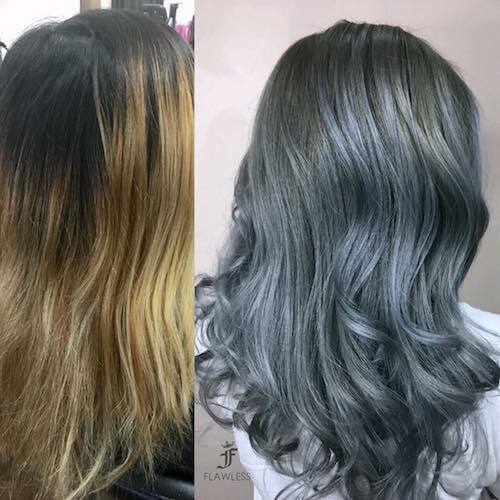 Accenting silver and gray hair with denim blue color is another beautiful look. 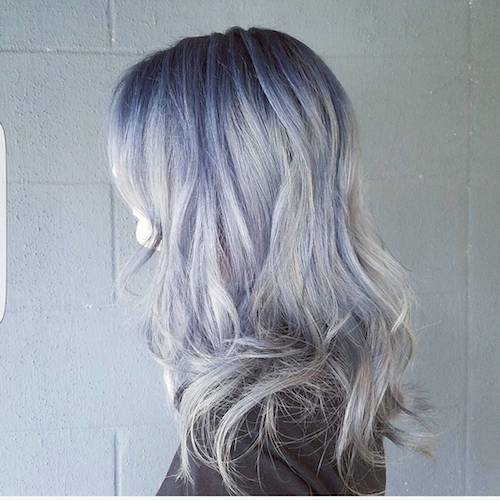 The blonde blue variation of the denim hair color keeps blonde tones rather than coloring them gray or black. 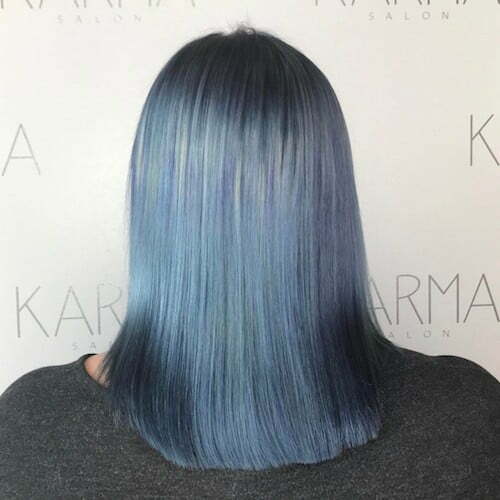 This twist gives a more vibrant look to the denim color. 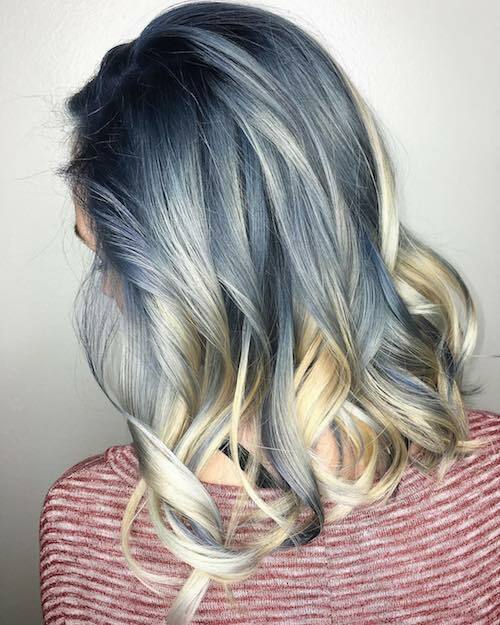 Blonde and denim blue intertwine in this blonde blue mix. 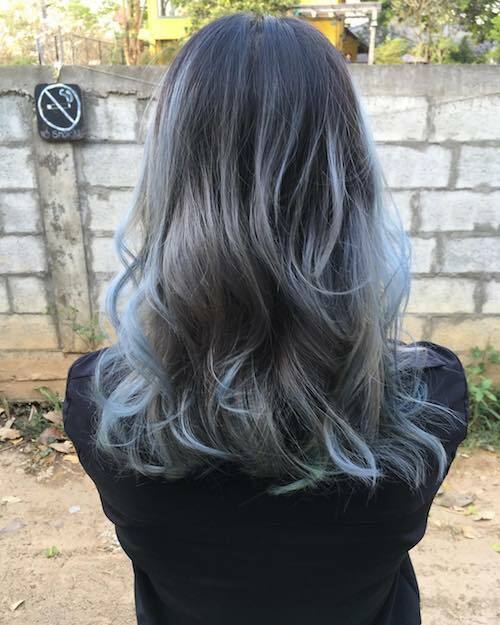 A light denim blue color highlight gives a hint of blue. 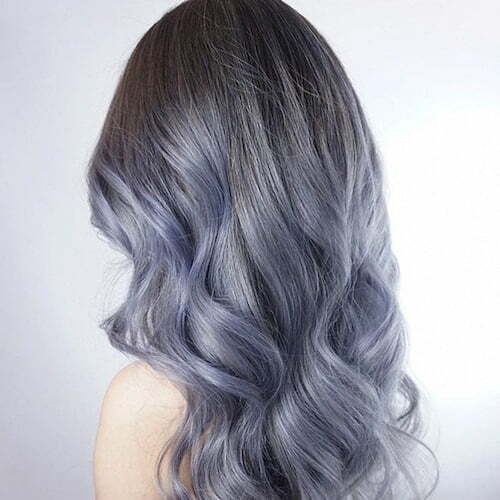 Denim blue undertones are seen in this long blonde curled hairstyle. 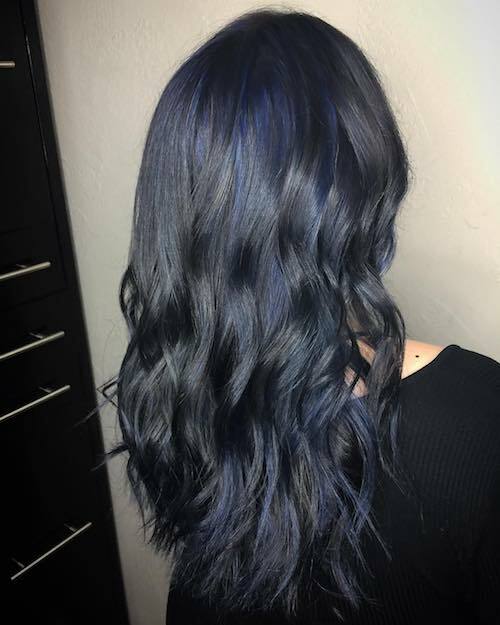 A dark denim blue base with lighter brown highlights. 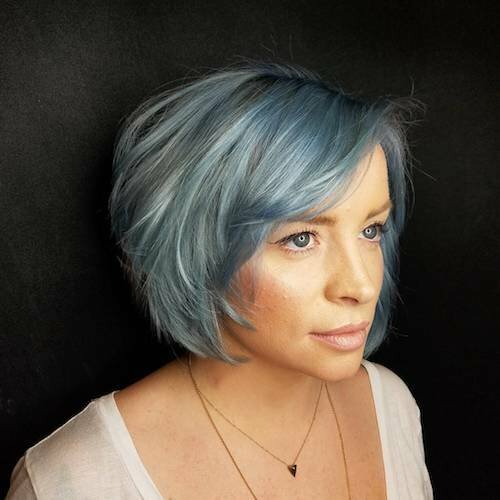 Denim hair color can take on an aqua, green, or blue-green tint. 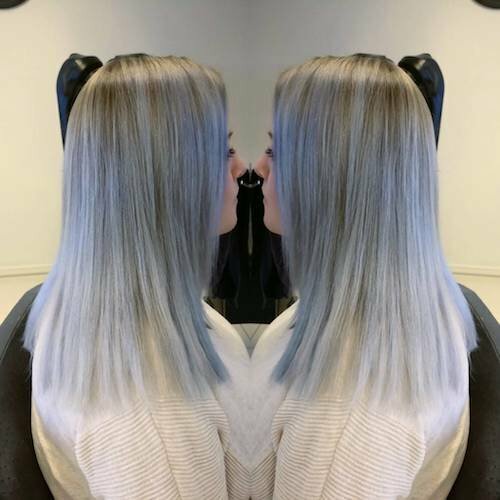 It’s a great way to add interest for those who don’t like a pure blue tint. 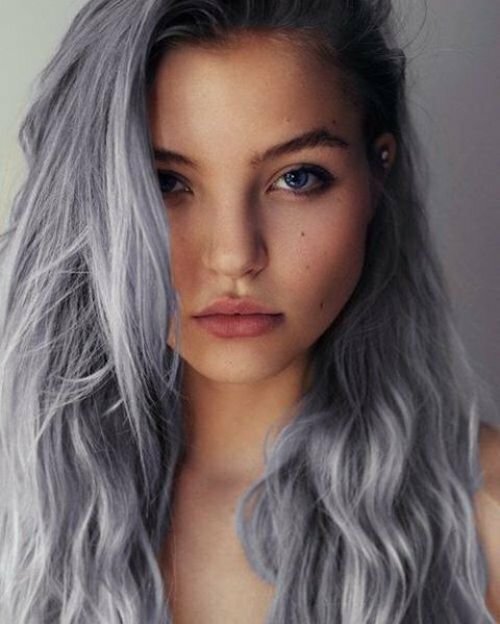 This gray-green denim hair color matches her gray-green eyes for an amazing appearance. 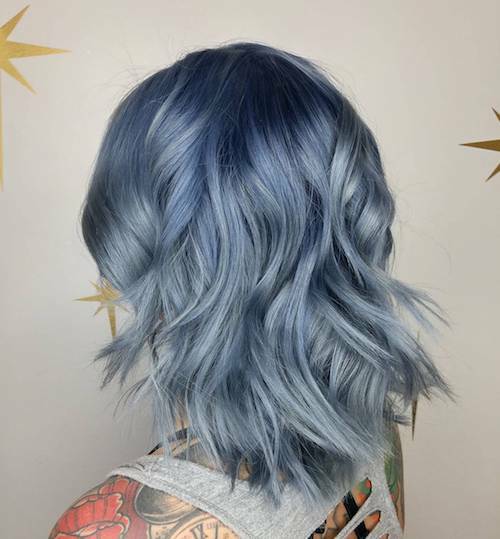 A professional denim blue balayage is the best way to add a super blended denim color look to your hair. 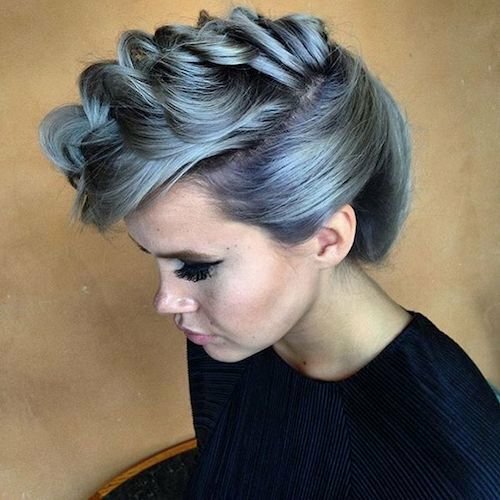 A silver-gray denim blue hairstyle looks amazing for a Saturday night out. 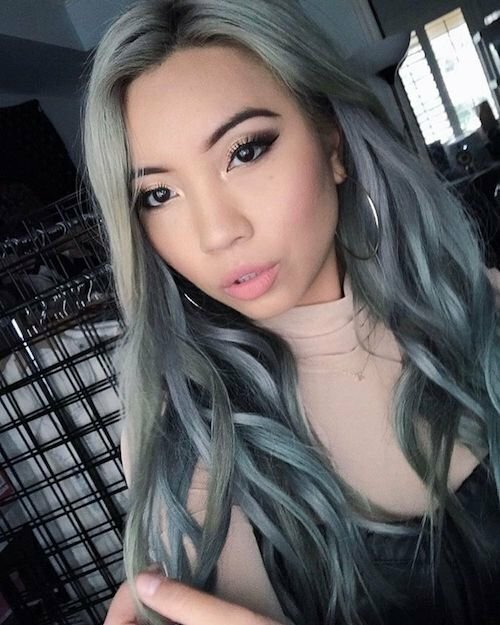 Denim hair color can also be combined with black or dark hair. 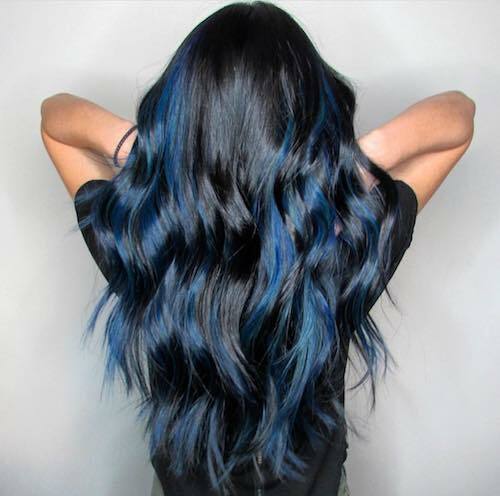 Slight dark denim blue highlights for black hair doesn’t require bleaching. 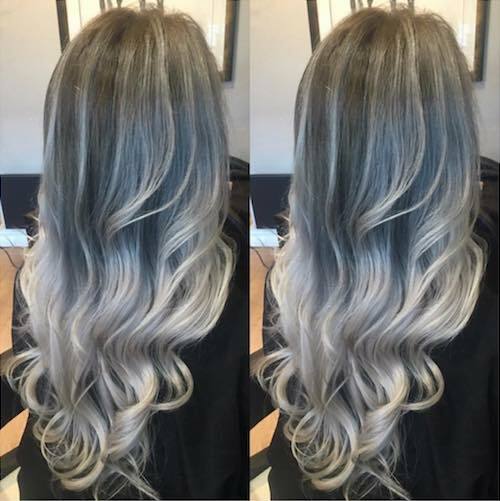 It’s a little harder to see the color though. 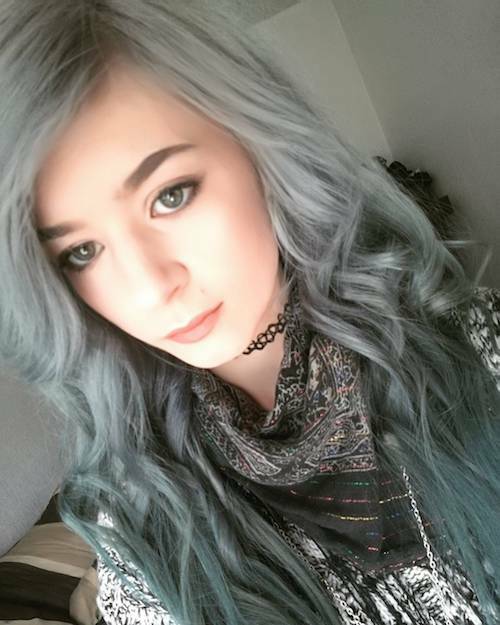 The denim hair color doesn’t require long, wavy hair as many photos would seem to suggest. 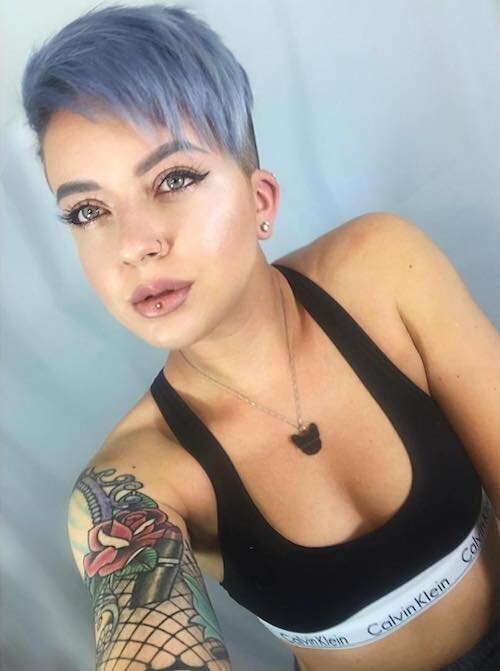 Denim works with short hair too, as you’ll soon see. 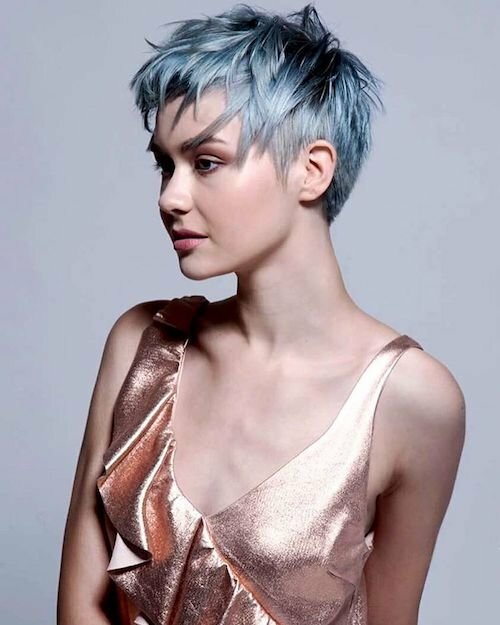 A spiky denim hair color pixie is an edgy hairstyle that looks amazing without going over the top. 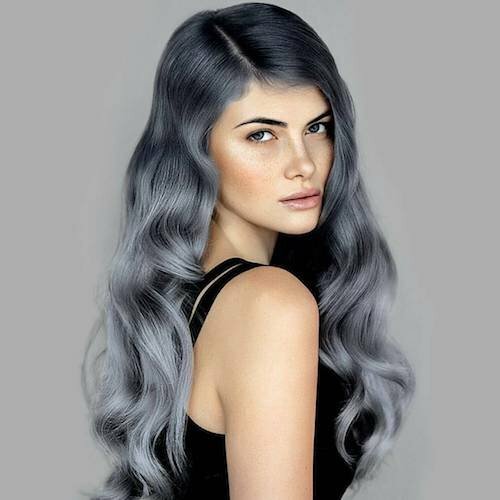 If your hair is turning gray, adding denim blue highlights will turn your grayness into greatness. 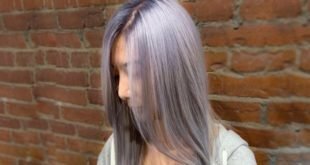 It’s a super stylish way to tackle gray hair. 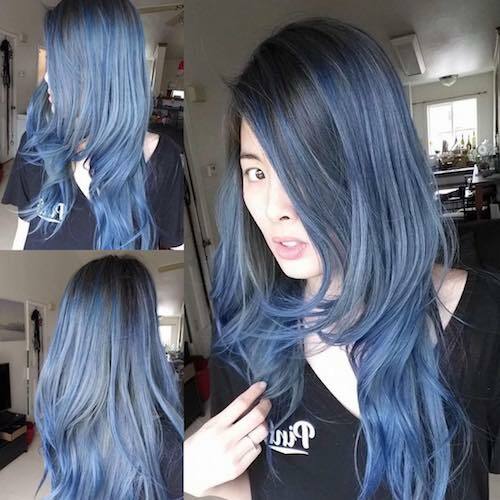 You’ve seen a bunch of denim blue hair color and hairstyle photos. 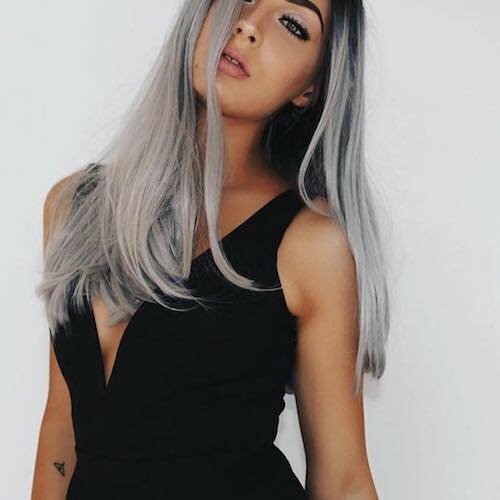 We hope that you found at least one that appealed to your own hairstyle inspiration. Share your favorite with your friends and followers with the social media links below. 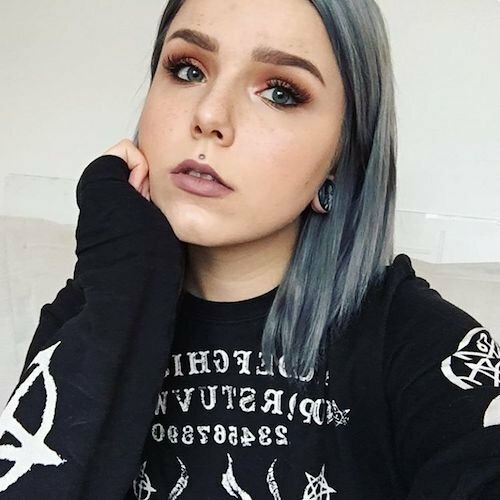 If we’ve missed your favorite denim hairstyle, or if you got compliments or suggestions, hit us up in the comment box below. Thank you! 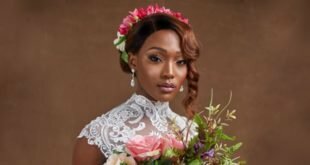 I found my inspiration! 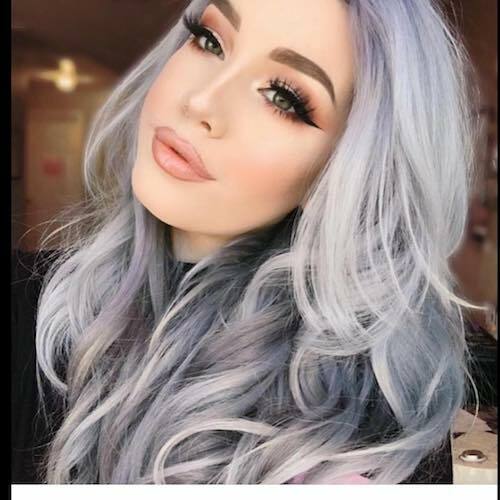 Thanks for the excellent examples of denim hair colors and styles. 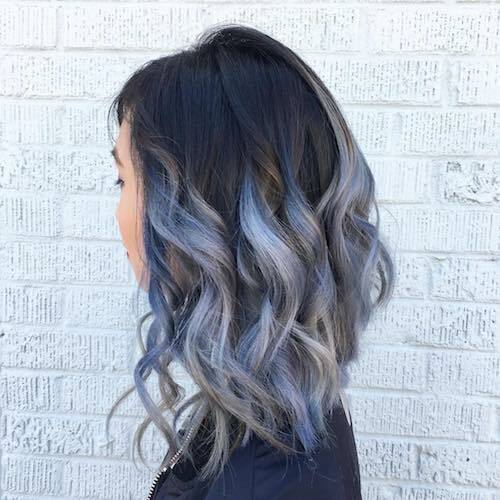 Not gonna lie, I’ve got this major crush on this gorgeous denim hair color! 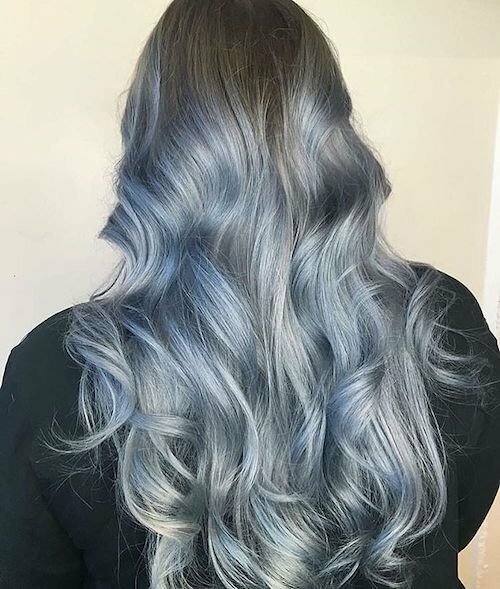 My girlfriend said she would try it next month! She is going to look like my favorite pair of Levi jeans. I can’t wait! Thank you very much!